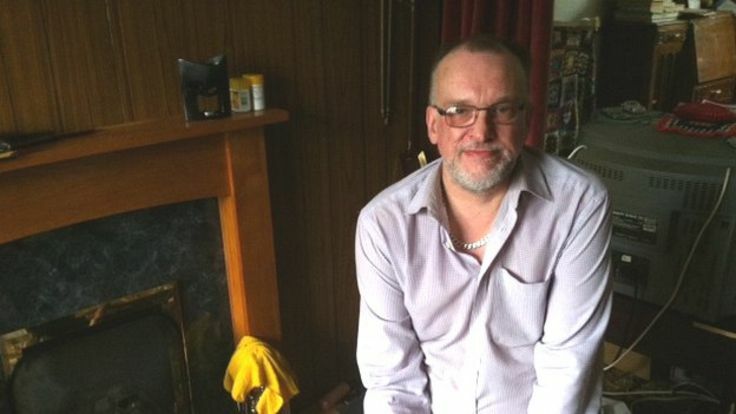 A disabled man who secretly recorded verbal abuse by a hospital doctor has received an apology from an NHS trust. David Massey, 54, recorded the doctor, whom he had previously made a complaint about, saying: “What can I do to you? I can probably beat you up, I suppose.” After police were called, one officer suggested leaving him “on the Cat and Fiddle” A537 road in Cheshire. Cheshire Police said they “regret” the incident. Mr Massey said he thought the incident, in March 2014, was “disgraceful”The patient, who has diabetes and chronic back pain, went to an out-of-hours clinic at Macclesfield General Hospital. The patient, who has diabetes and chronic back pain, went to an out-of-hours clinic at Macclesfield General Hospital. He says he was in severe pain and needed another pain-relieving patch. After a long discussion, the doctor refused to give him any medication but Mr Massey declined to leave and started secretly recording the conversation on his phone. Speaking about how he could get Mr Massey to leave the room, the doctor can be heard saying: “I can probably beat you up I suppose.” Mr Massey then replies: “You’re going to beat me up?”, to which the doctor responds: “Yeah”.